The new restaurant at 4910 N. Clinton St. is quintessentially Gary Chappell. There's a retail counter where visitors can buy fresh fish and seafood. A large saltwater fish tank anchors the dining room. Diners have a generous selection of items, 70 to be exact, when they make a trip to the salad bar. And many staff members at the newly opened The Fish House Restaurant & Seafood Market have worked with Chappell. But the restaurant veteran, who operated seafood restaurants in the city, is quick to point out he's not the owner. He's the consultant, helping local entrepreneur and real estate owner Bill Bean with the Fish House and his other restaurant holdings. Together, Chappell and Bean worked on the concept for the Fish House. With a nautical theme and Florida influences, the two hope to offer guests a fun fine-dining experience. 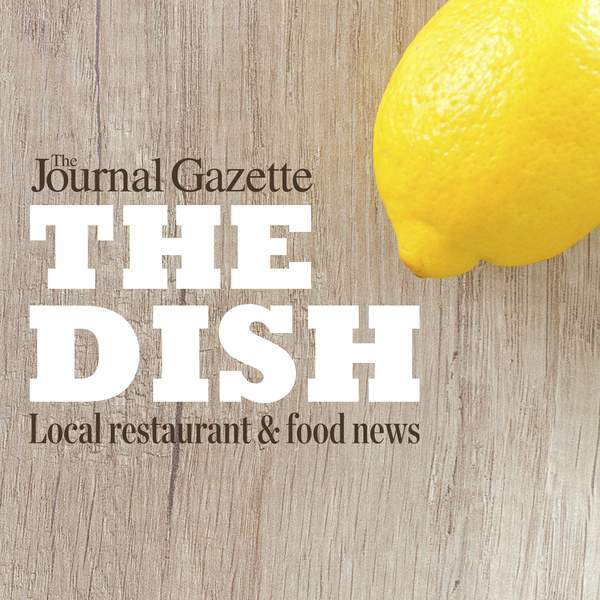 Dishes are priced moderately, Chappell says. Pasta dishes include a lobster macaroni and cheese and shrimp scampi. The entrees include almond-crusted walleye, tuna sashimi, jambalaya and South African lobster tail. The menu also includes flatbreads, burgers, steaks and appetizers, such as calamari, raw oysters and firecracker shrimp. The restaurant, which was formerly Hamilton Public House, underwent a renovation before opening. Walls were raised and booths added to create a cozier environment, as well as added space for the retail market. It will be open for lunch Monday through Saturday and dinner daily. But the Fish House is really just a start for the collaboration between Chappell and Bean, who have known each other more than 30 years. The two will begin work at the beginning of the year on Flanagan's. The restaurant, which closed in 2017, will undergo a significant renovation, Chappell says. Structurally, the building will get a new roof, LED lighting and windows. The team is also hoping to see whether a step in the bar can be changed. Cosmetically, the decor will be streamlined and pared down. No more hammerhead shark or soap box derby car. The menu will have an Irish flare, and the goal is to open by St. Patrick's Day. Other projects include turning Park Place on Main into a piano bar. The downtown restaurant has a new manager and performer. They are also taking a look at Duesy's Sports Bar & Grille, 305 E. Washington Center Road. The goal, Chappell says, is to create a local restaurant brand with each location having its own identity. Gift cards would be good at all locations but the menus would be different. Rumors have been circulating in the Ossian community that landmark bake shop Heyerly's Bakery would be closing at the end of the year. Rumors that are just that – rumors. Business at the shop is brisk, as this is the busiest time of the year for a bakery, and there no plans to close, a manager says. But it is for sale. The bakery, which has been in the Heyerly family since it opened in 1931, has been a staple of the community that sits between Fort Wayne and Bluffton. It's known for its handmade doughnuts and cakes. The Heyerly family does have a prospective buyer, and they have signed a non-disclosure agreement to protect the buyer. There are bright flags and a sign advertising artisan coffee interrupting the landscape on Engle Road. In a quiet stretch between Smith Road and Ardmore Avenue, there's a gravel driveway leading to a cute brick building set off from the road. On most days, it could look nearly forgotten. But on Saturdays, there's a steady drip of traffic down the way as coffee lovers go to a little known spot that has been roasting coffee beans straight from a Kenyan farm. Jeff Hempton started roasting beans more than a year ago and opened up to the public as Hempton Roast Coffee about eight months ago, he says, as a crew begins pouring a burlap sack of beans into an imposing roaster. There's coffee pots and a French press on a small table and red, white and green bags of roasted coffee beans for sale. There is a Colombian roast but what Hempton likes to talk about is the Kenyan. He met a group of Kenyans who are living in Fort Wayne, and the men have a family connection to a coffee farm in their home country. The Kenyan beans are imported by the group straight from the farm to Indiana – no middle man. In a back room, burlap bags of coffee beans are stacked. Hempton, who has a day job and is working on the roasting business part time, opens the bag and picks up a handful. The beans are green and chewy, if you dare taste them. He shares how the coffee grows as a berry with two seeds, each with a flat side. But, sometimes, it grows as a single seed – resulting in a peaberry. It's a small mutation, and the Kenyan farm produced just a couple bags. When it's gone, it's gone, he says. The shop is open 9 a.m. to 2 p.m. Saturdays at 5215 Engle Road. Stay up-to-date by finding them on Facebook and Instagram, searching for Hempton Roast Coffee. Ready to ring in the new year? Here are a few ways to celebrate 2019. • Copper Spoon, 301 W. Jefferson Blvd., will host a brunch Sunday from 11 a.m. to 4 p.m. The menu hasn't been released but consider it a “pregame” for the big day on Dec. 31. On Monday, the restaurant will host a Very Tiki New Year's Eve. Festivities will begin at 10 p.m., and the event will transport guests to a tropical celebration worthy of a new year. • For what Mark Melchi wagers is his 30th year hosting such a party, Lucky Turtle Moose, 622 E. Dupont Road, will host a New Year's Eve for Wimps party. A buffet, which will cost $15.15, will feature royal red shrimp, coconut shrimp, ribs, pulled pork, baked chicken, blackened tilapia, roasted potatoes, barbecue beans and the salad bar. A crepe station will be offering several varieties including savory (lobster and spinach-artichoke) and sweet (chocolate, strawberry and root beer). The buffet will be available from 5 to 10 p.m. with a champagne toast at 10 p.m.